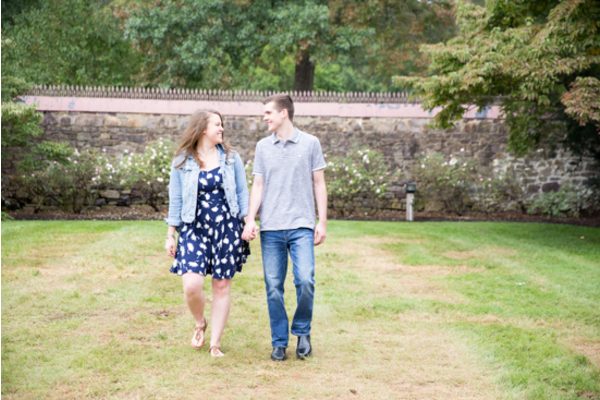 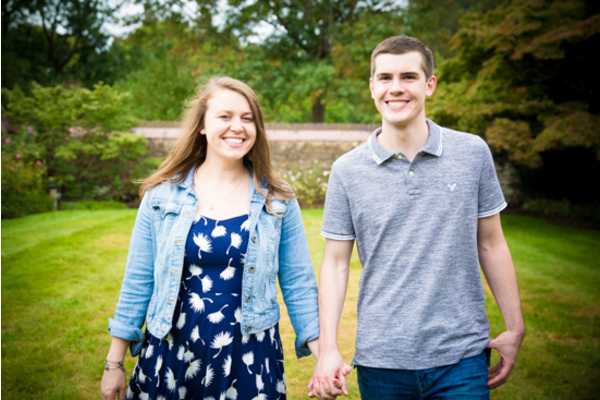 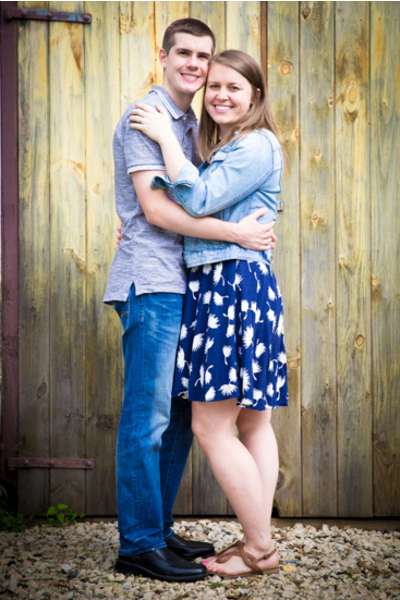 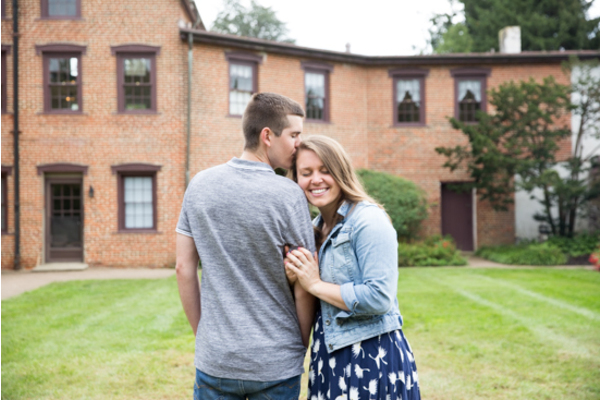 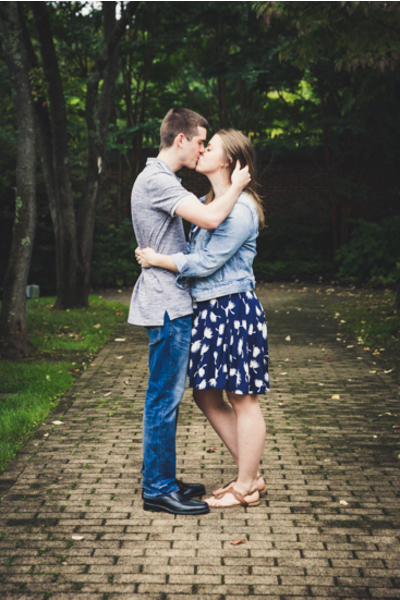 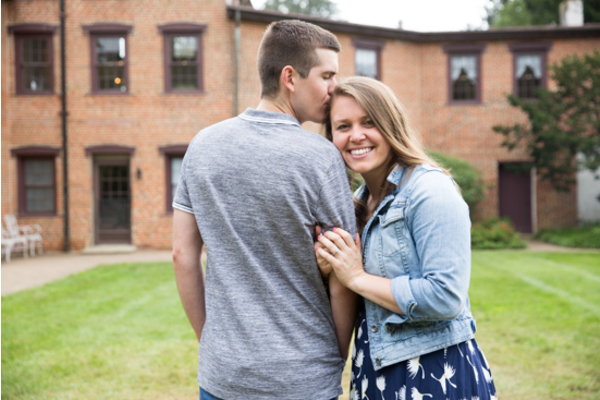 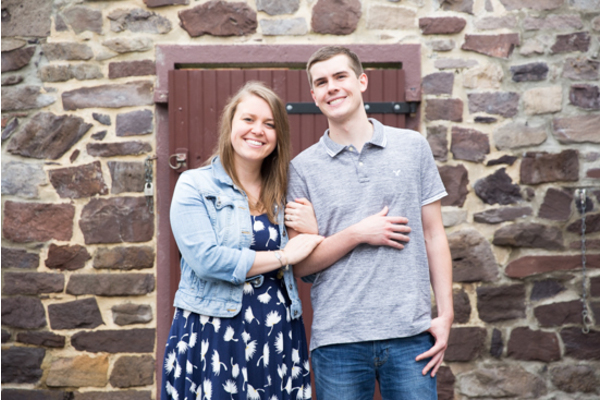 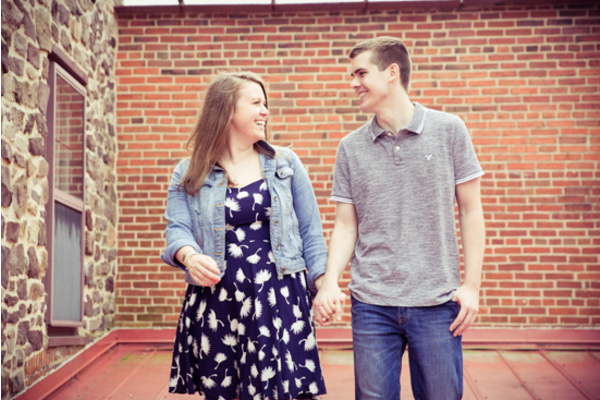 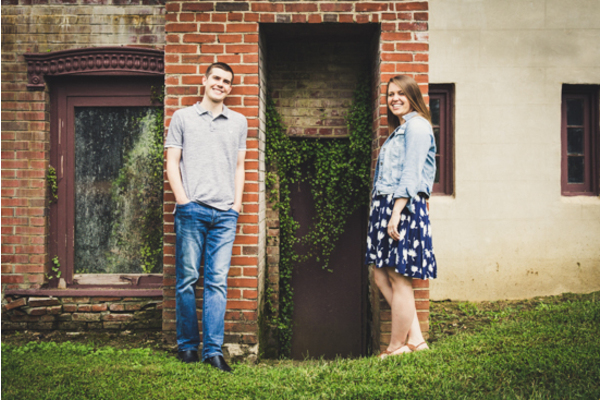 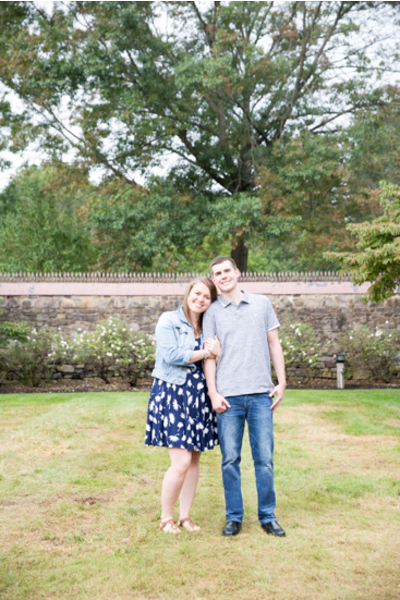 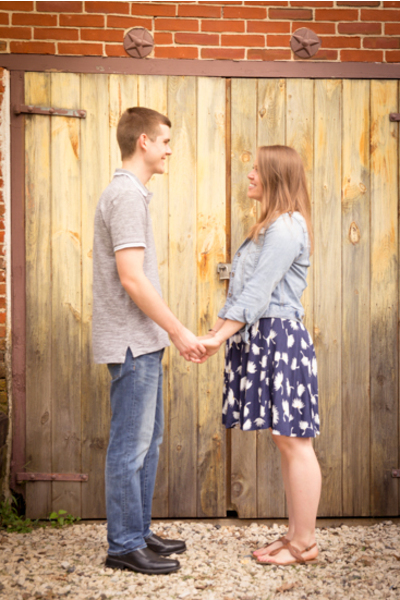 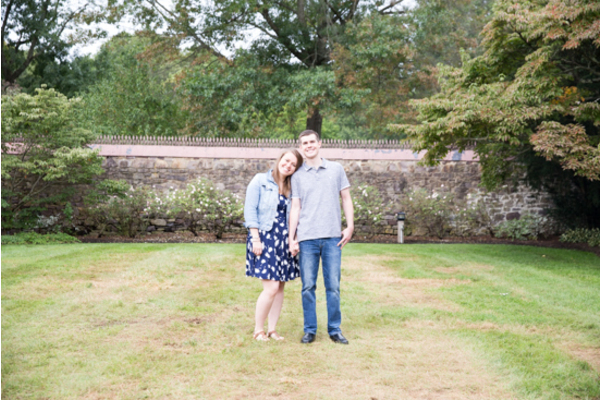 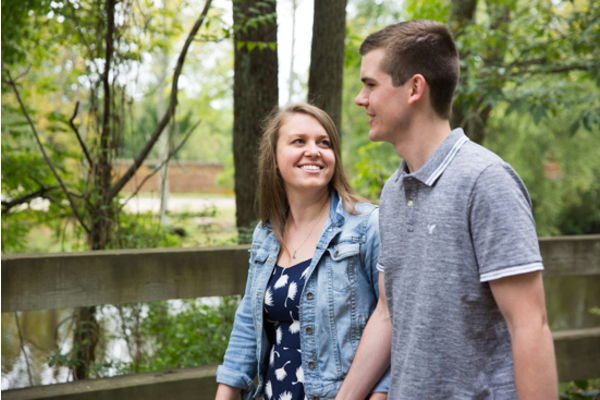 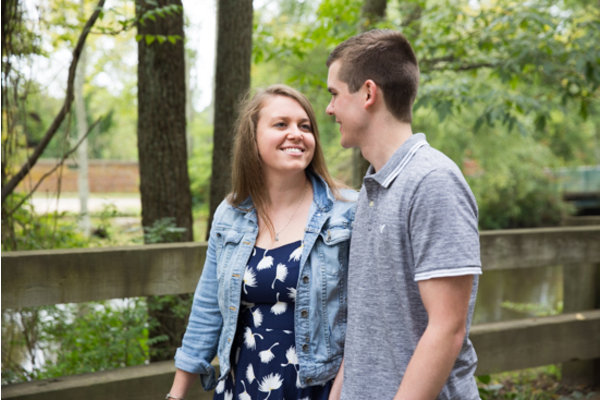 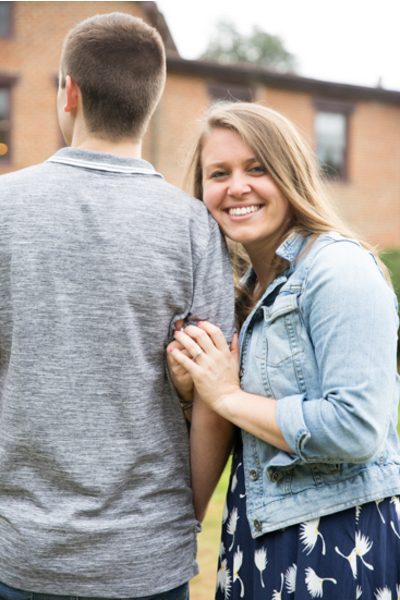 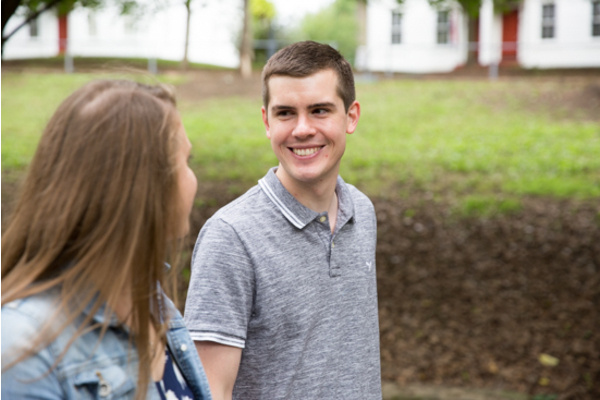 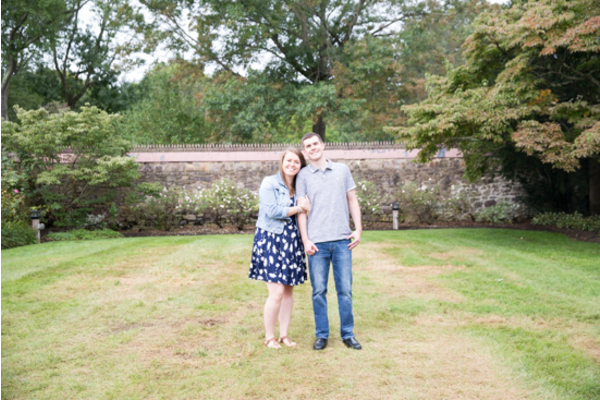 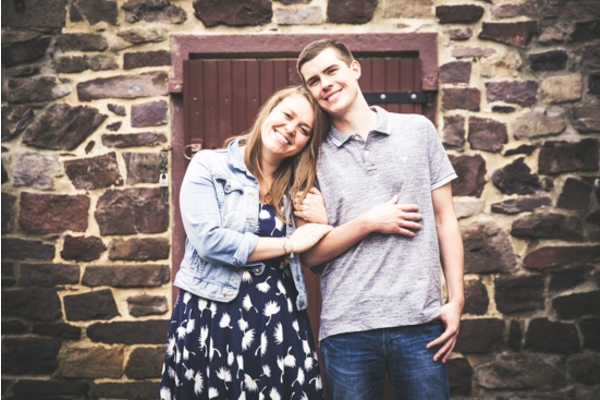 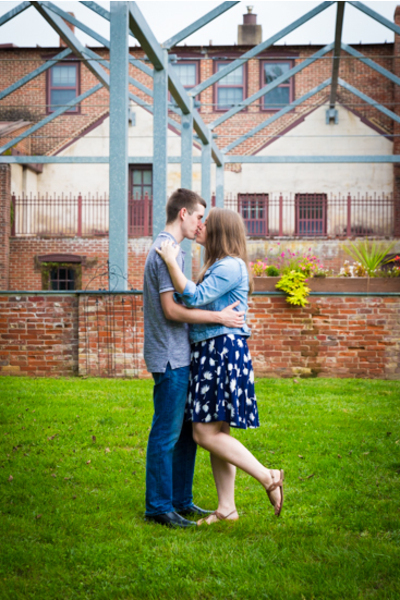 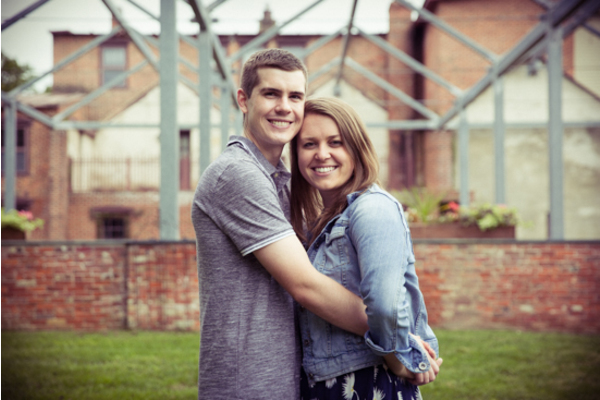 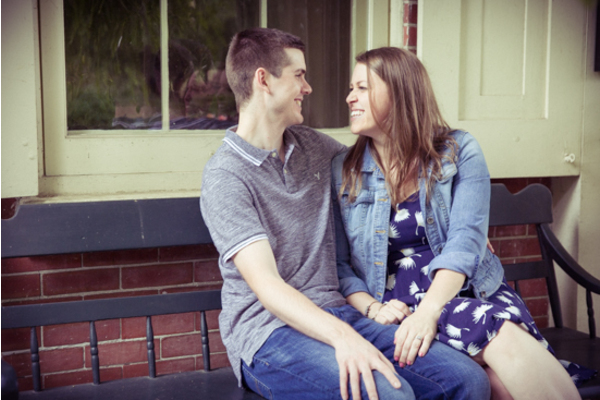 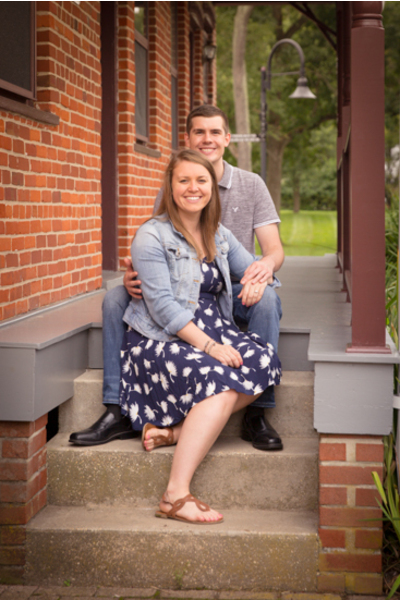 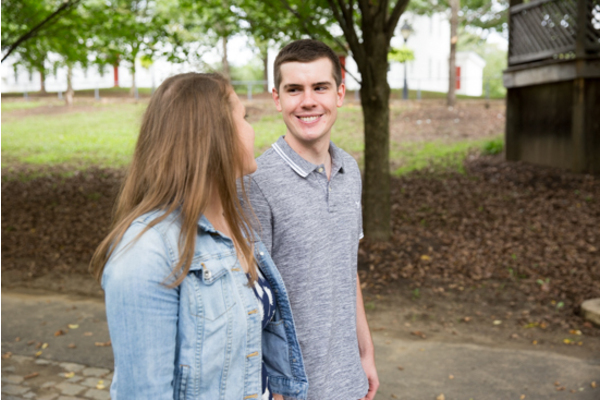 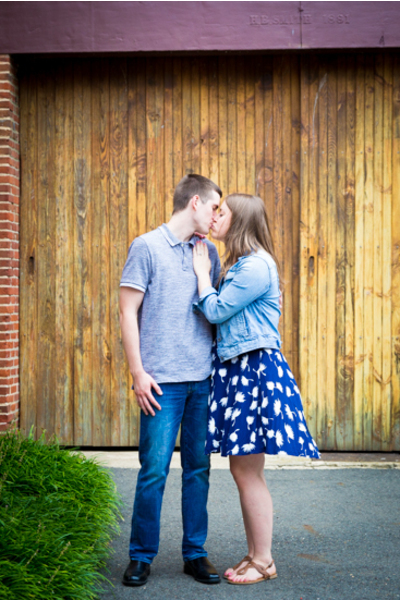 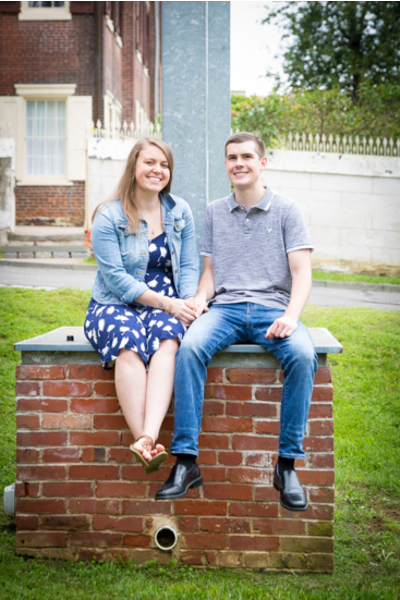 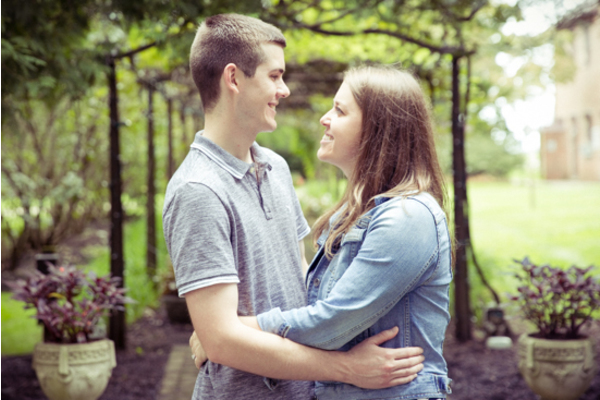 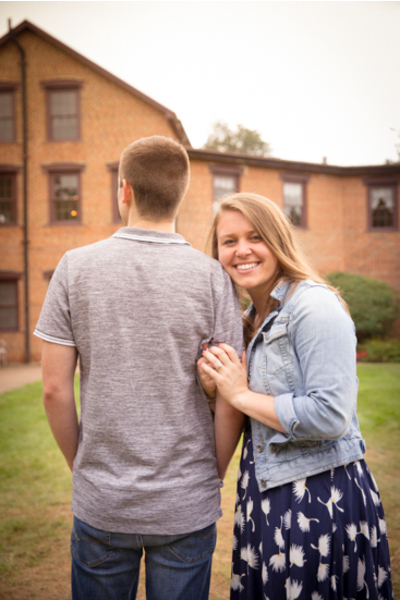 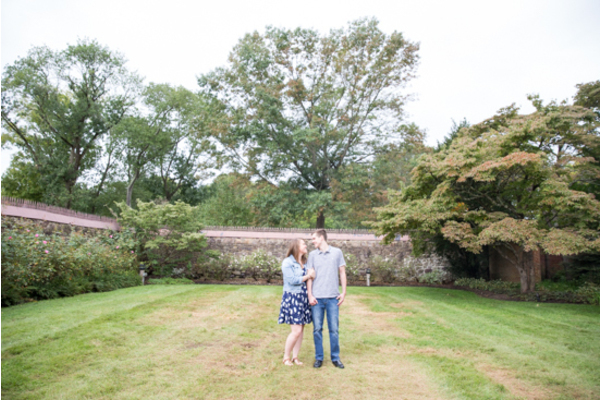 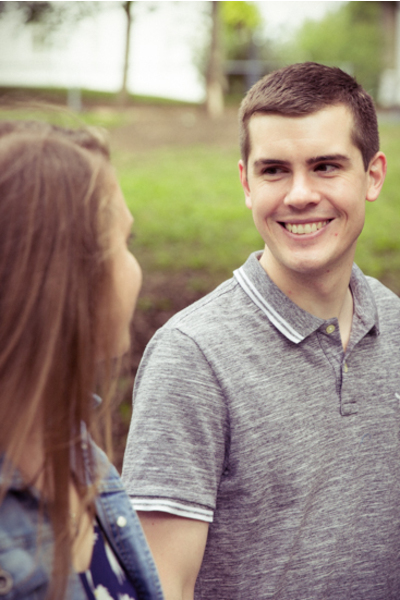 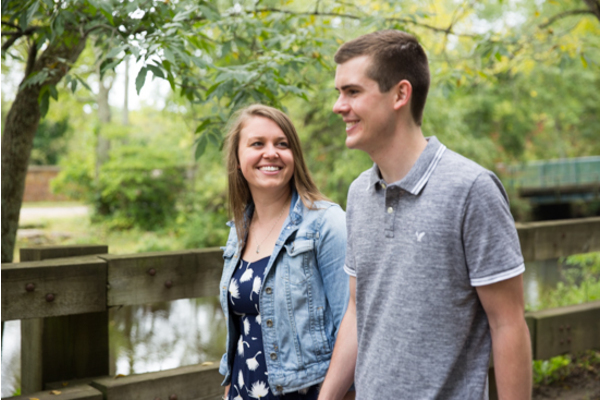 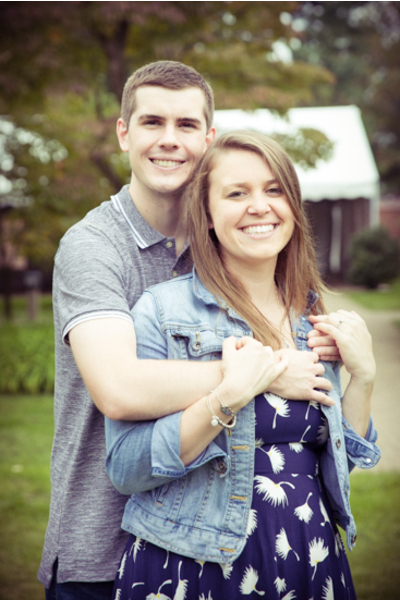 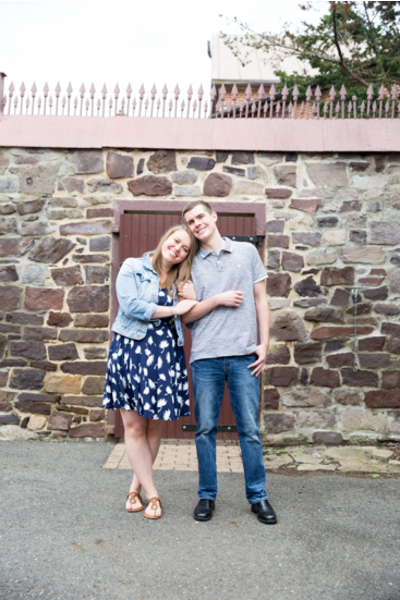 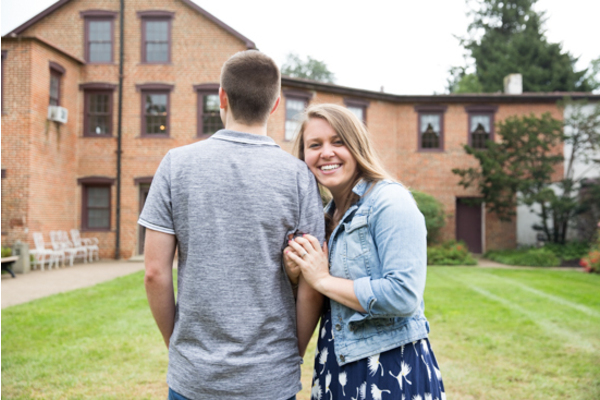 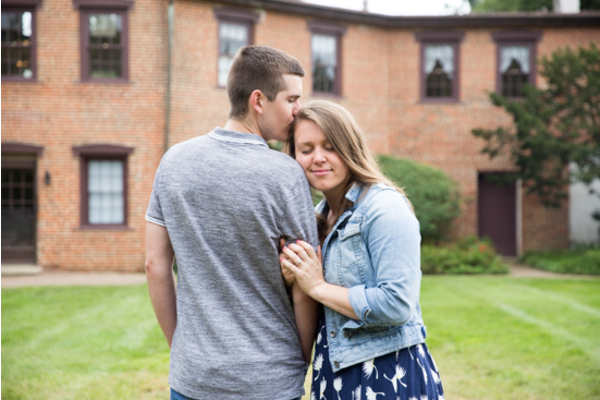 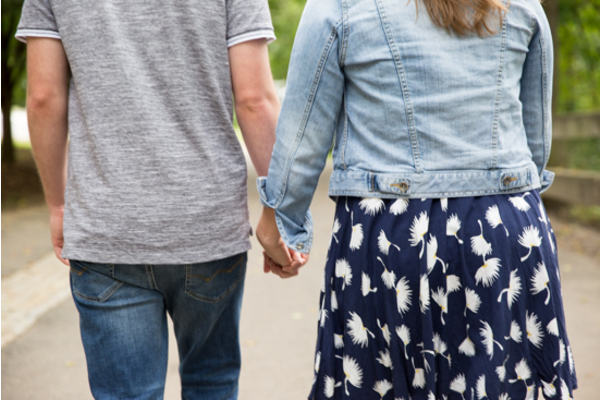 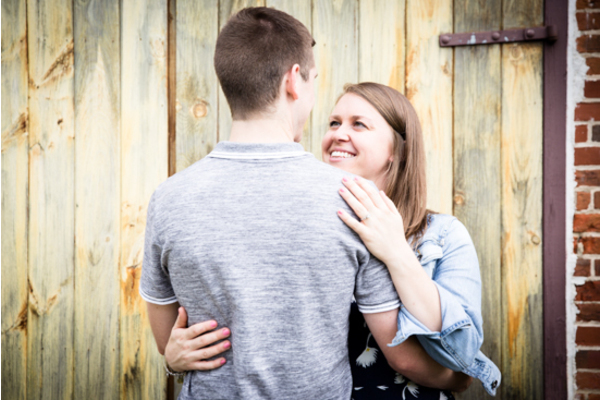 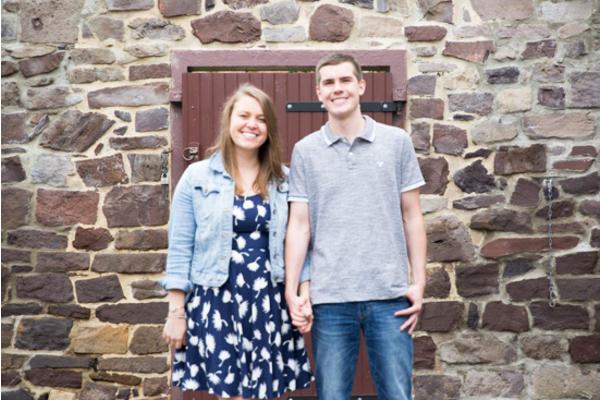 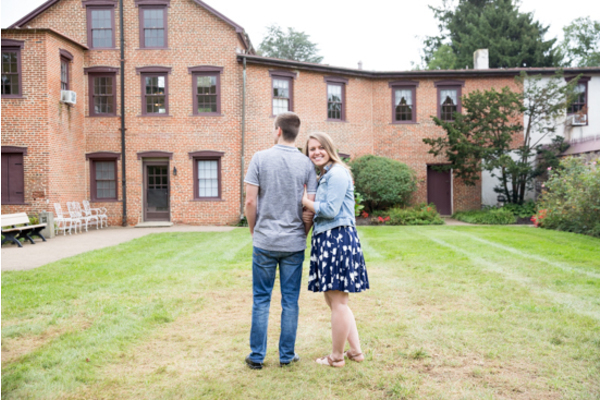 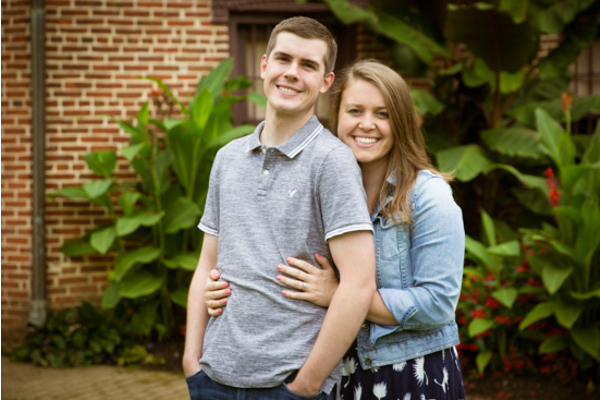 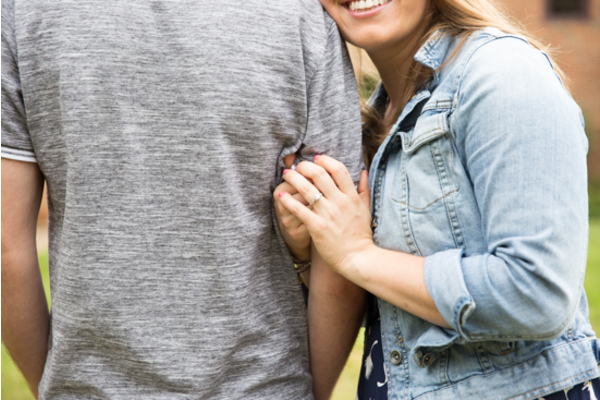 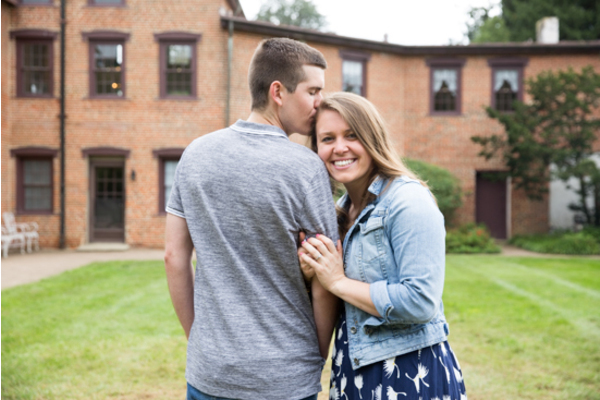 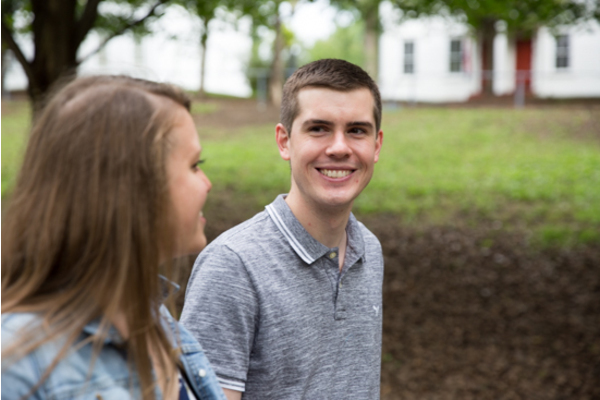 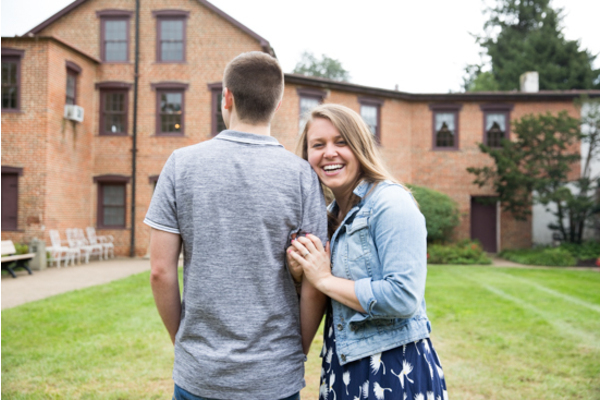 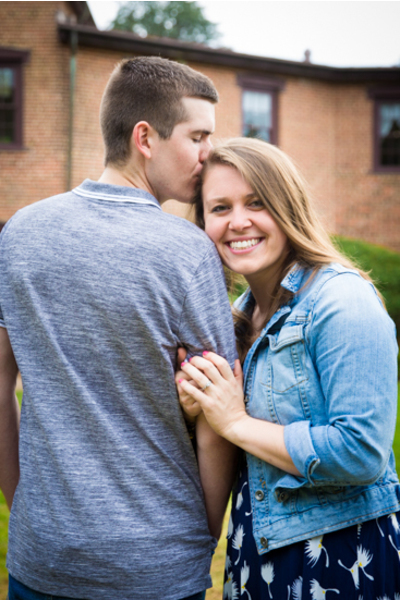 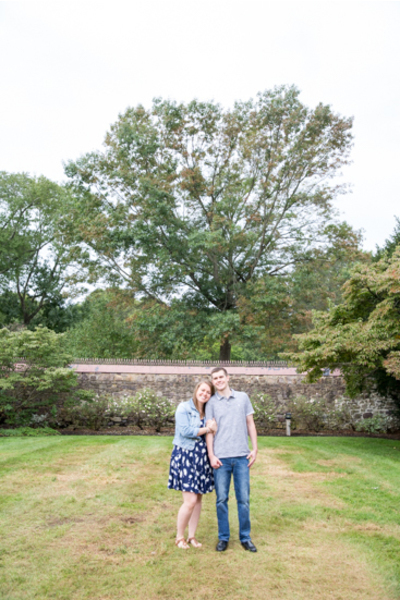 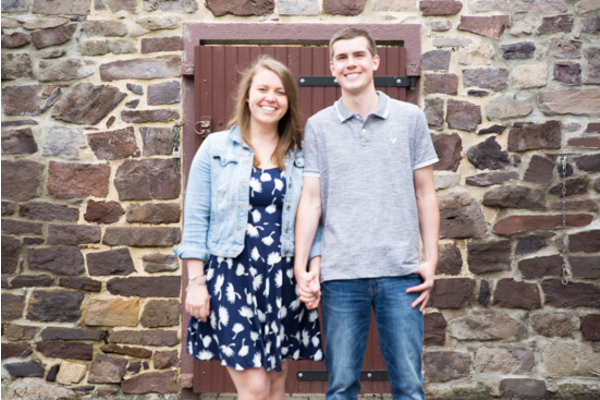 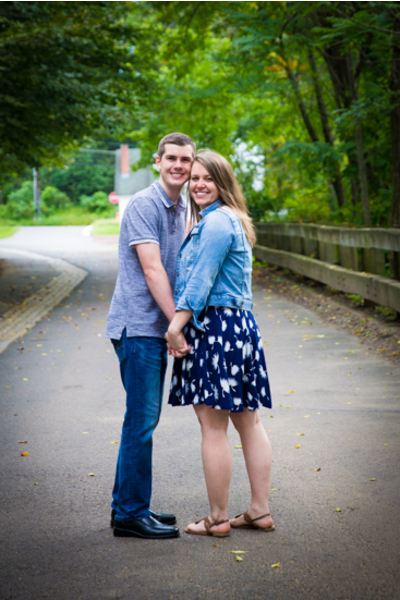 A congratulations is in order for newly engaged couple, Katelyn and Seth! 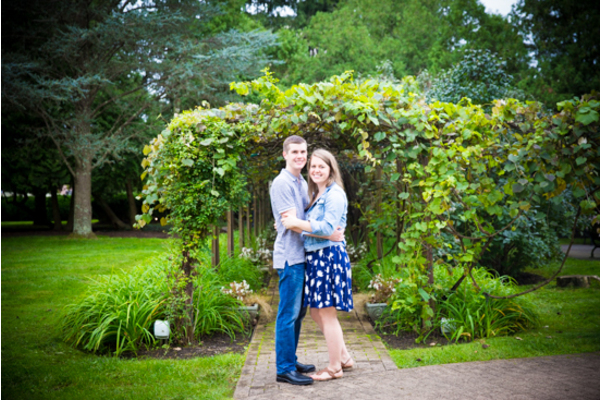 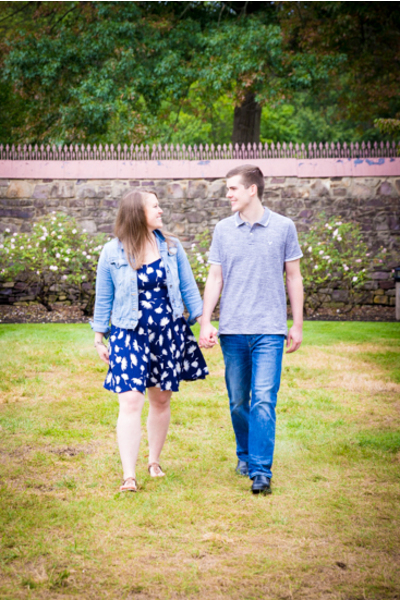 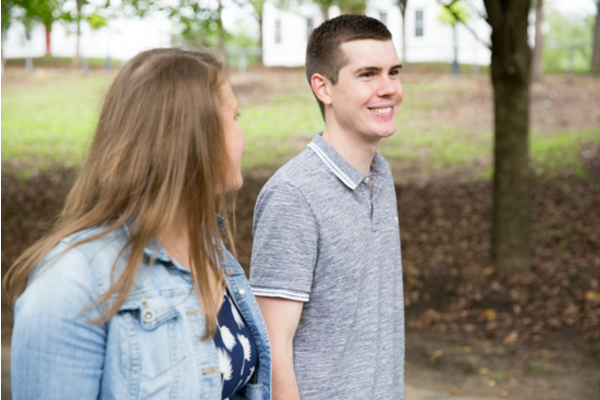 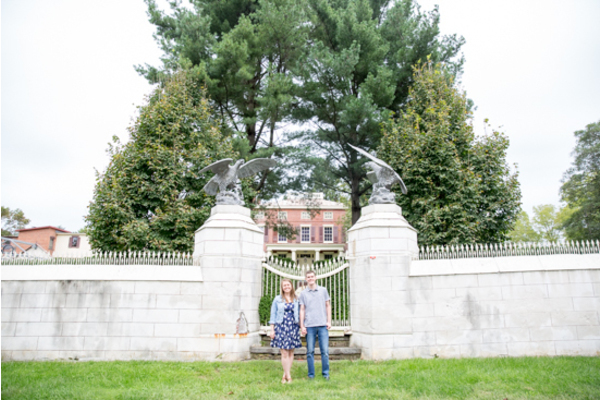 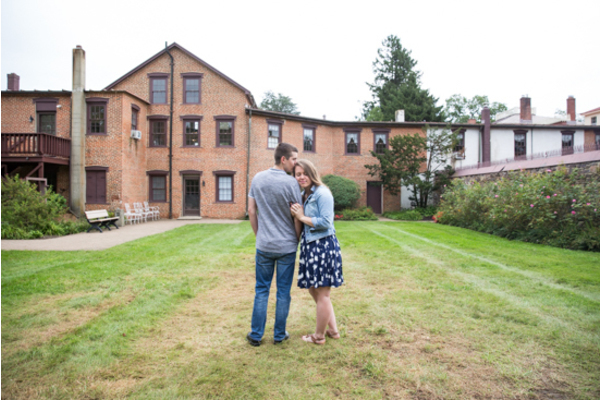 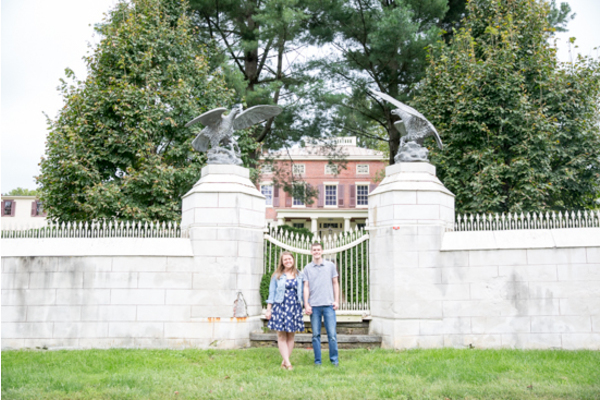 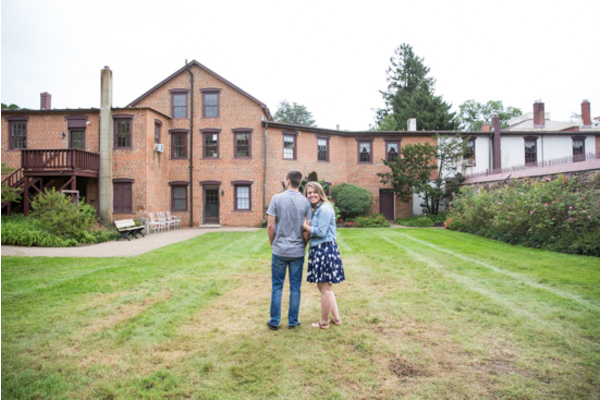 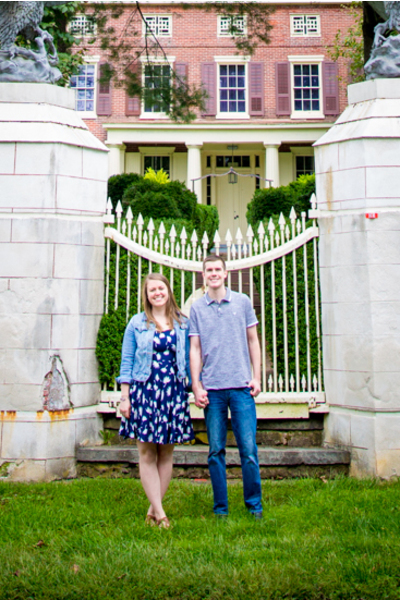 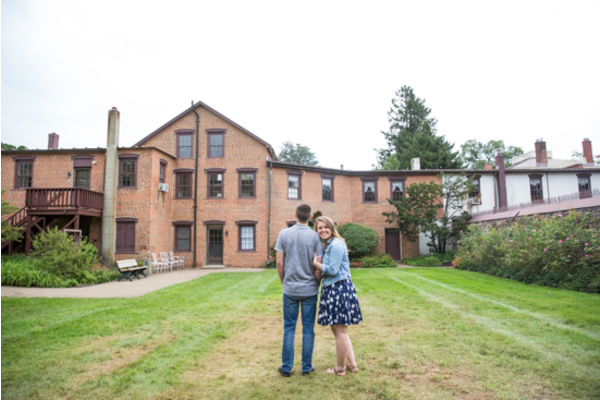 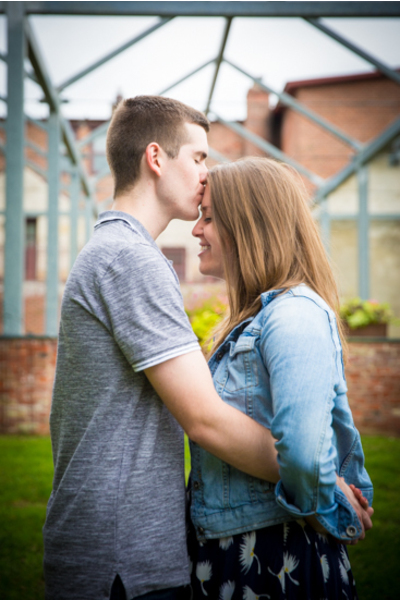 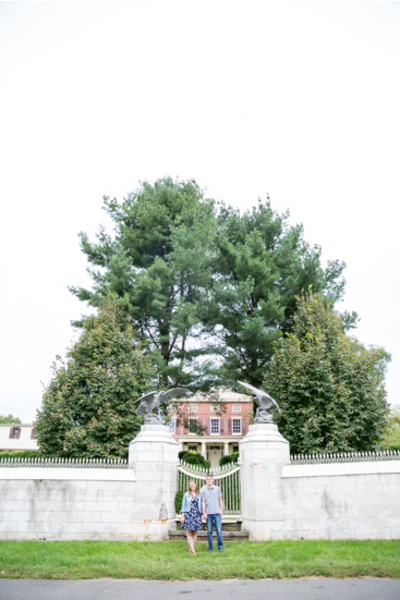 They are set to celebrate their summer wedding at the Bradford Estate. 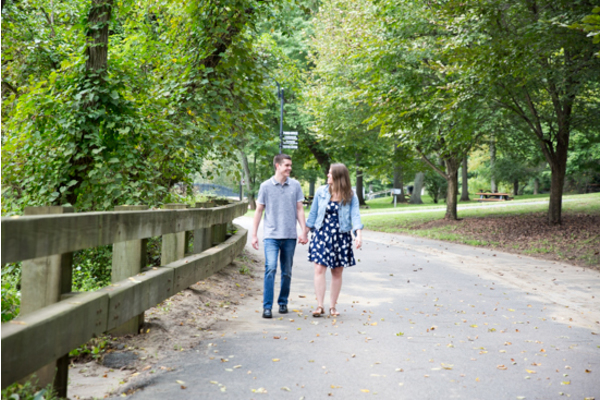 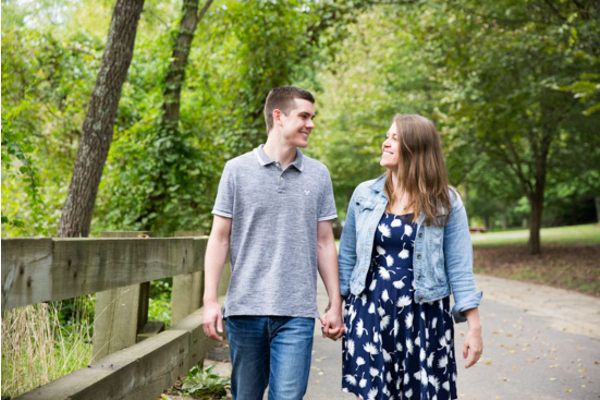 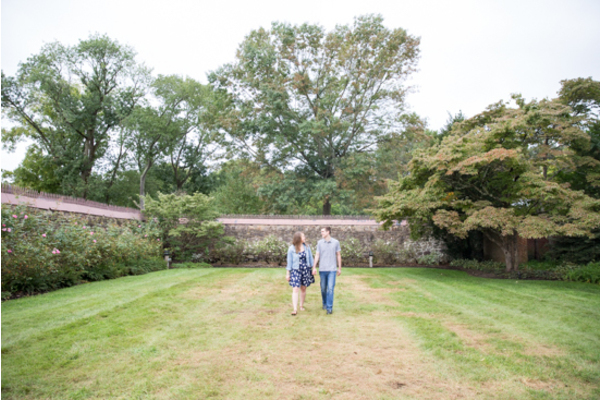 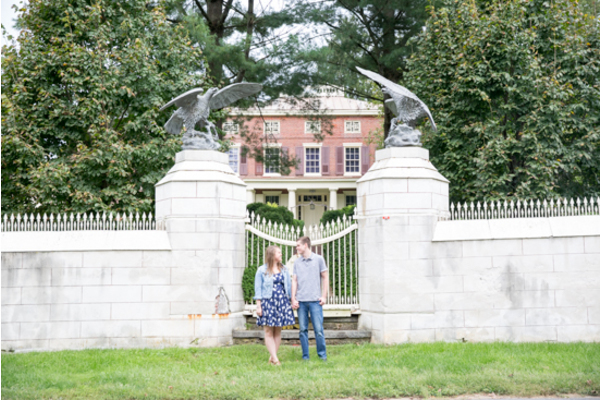 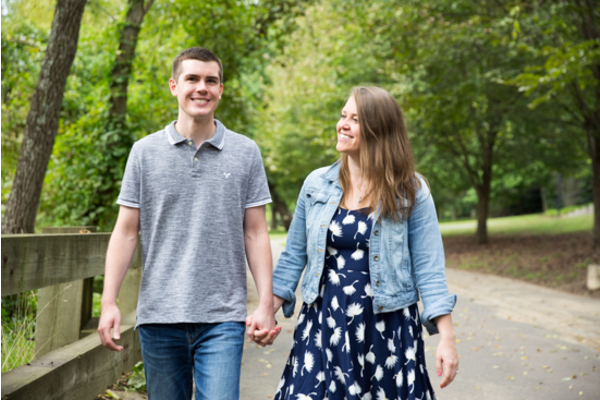 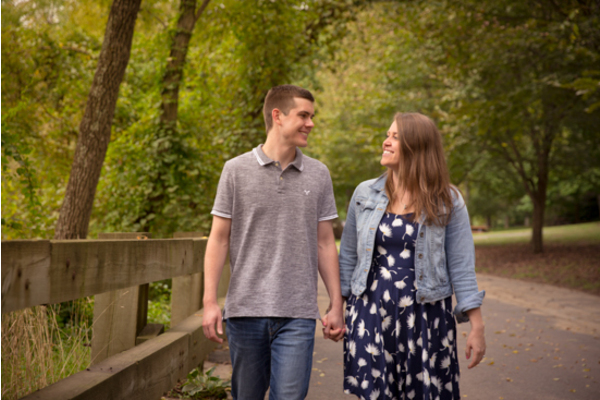 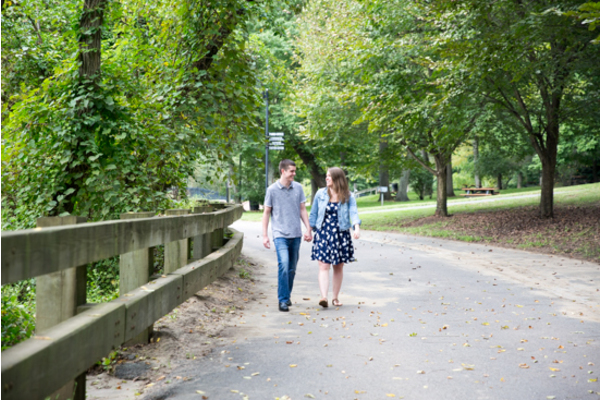 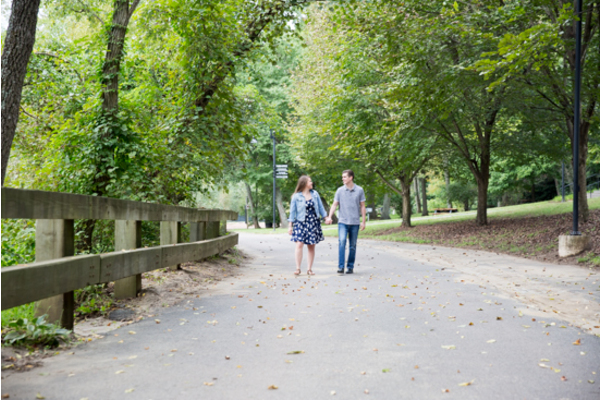 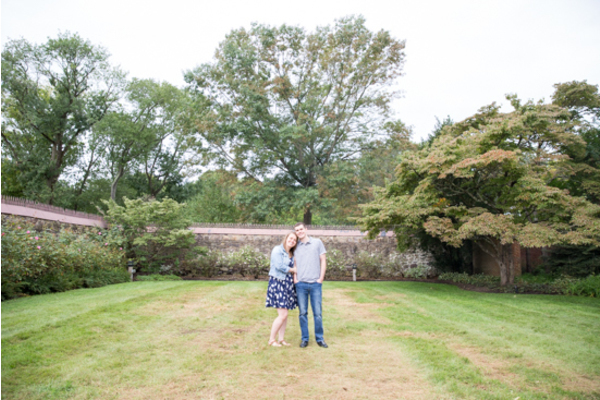 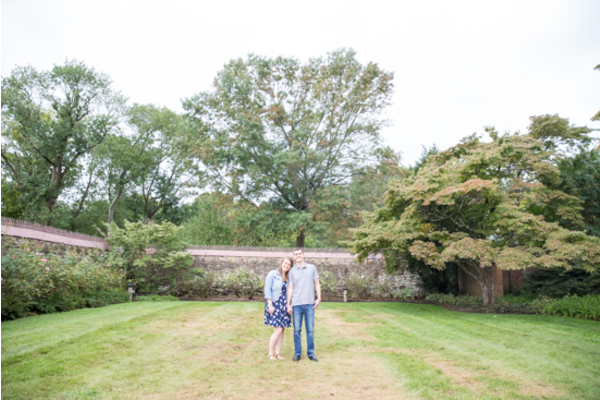 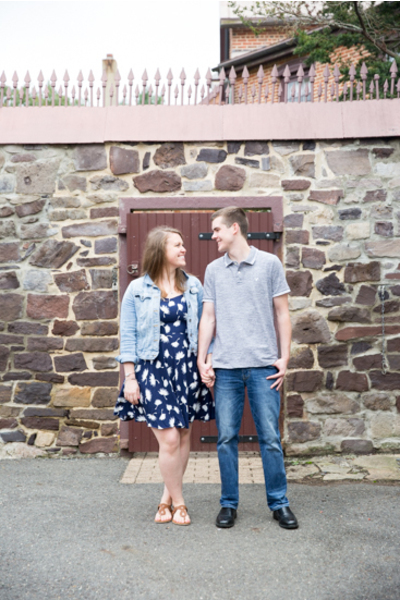 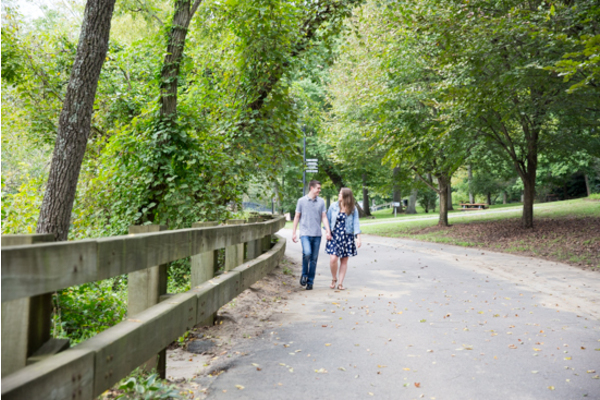 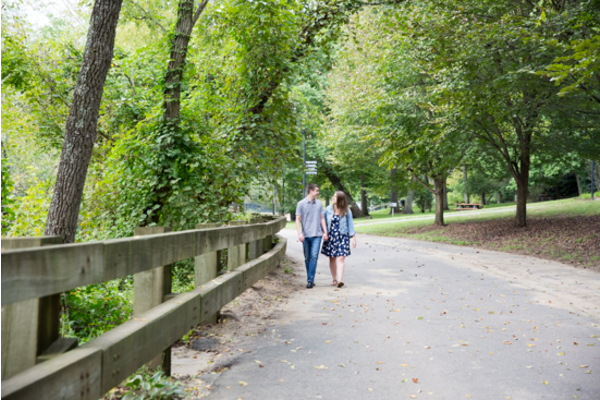 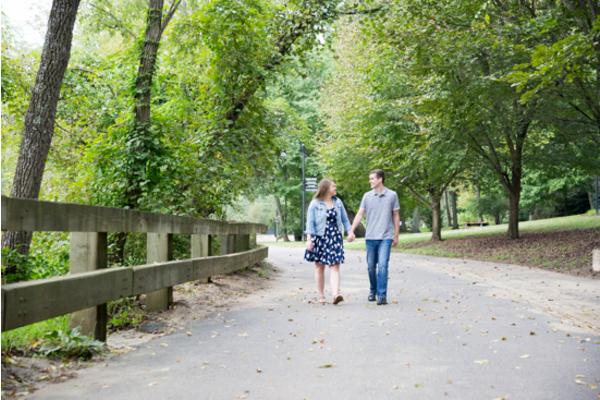 It was a sunny afternoon when our NJ Wedding Photographer captured all of the beautiful moments of Katelyn and Seth’s engagement session. 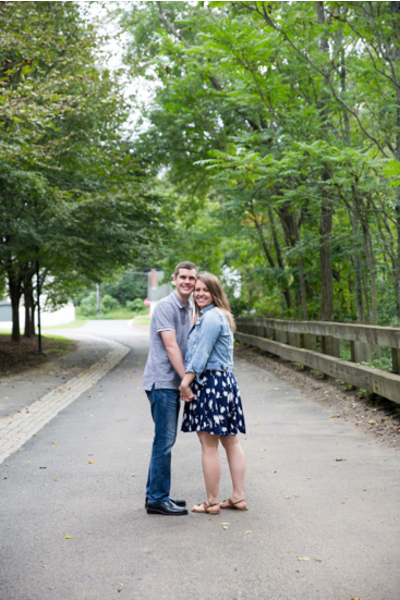 With how breathtaking these two looked here, we can hardly wait to see them on their big wedding day! 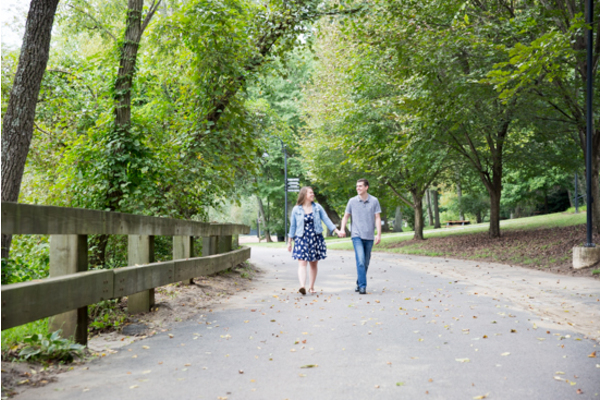 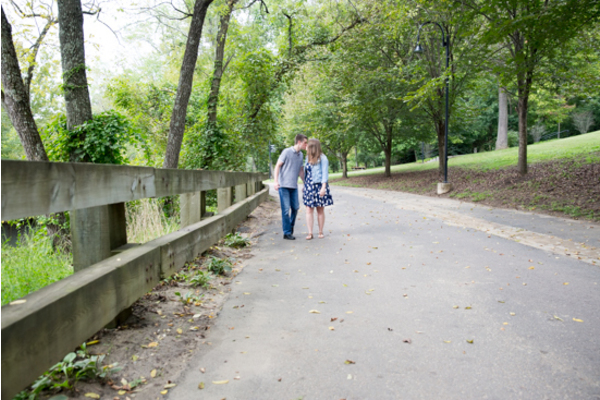 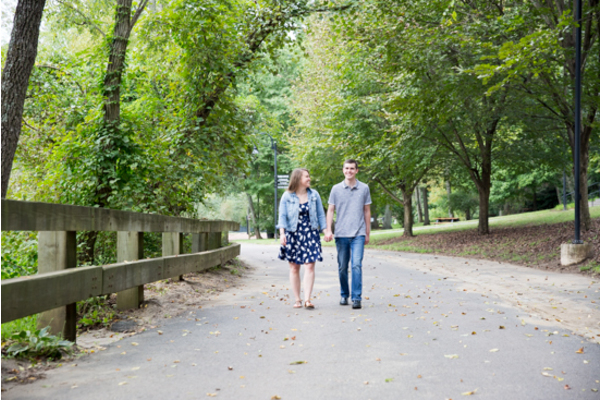 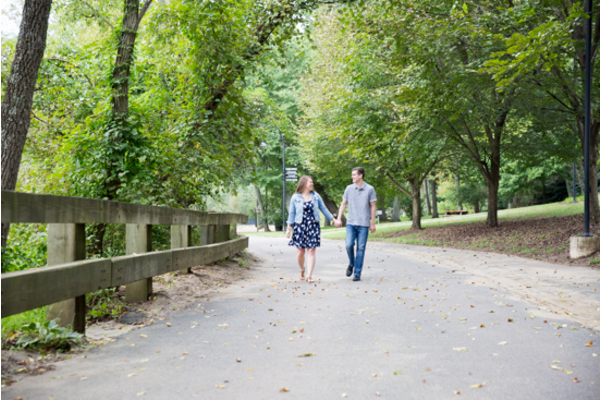 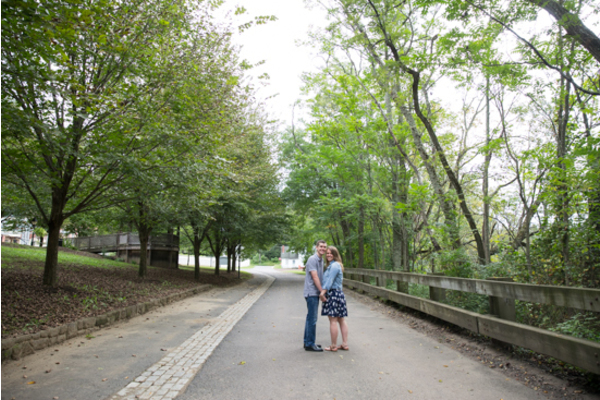 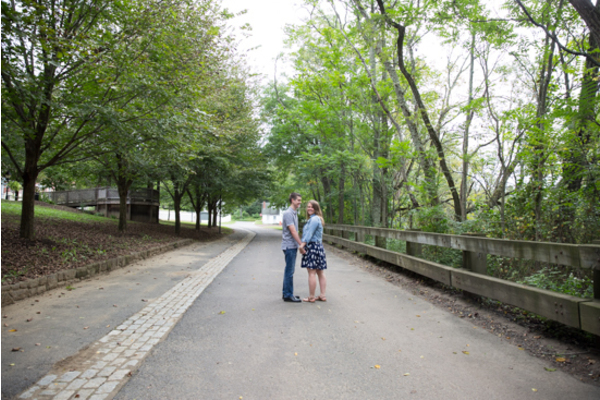 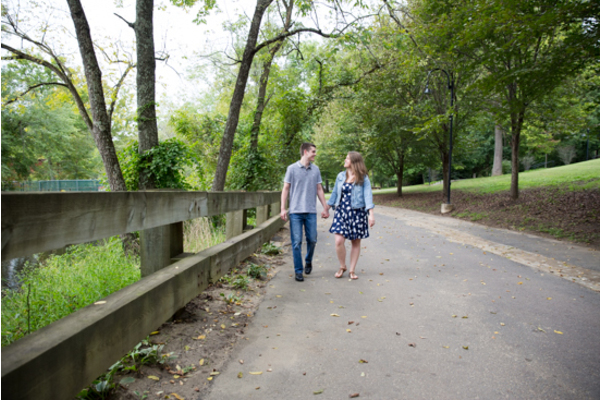 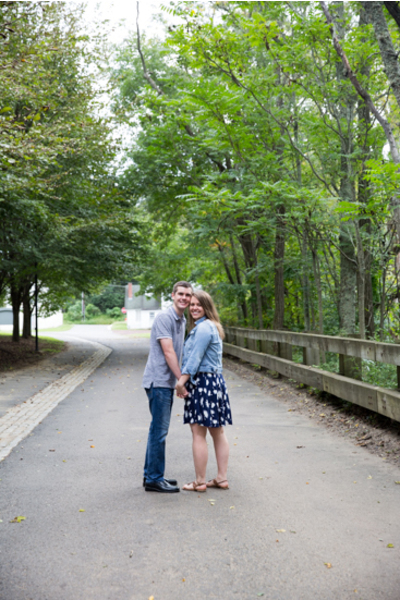 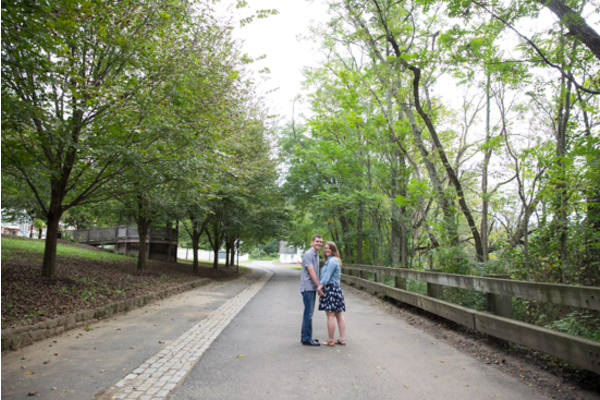 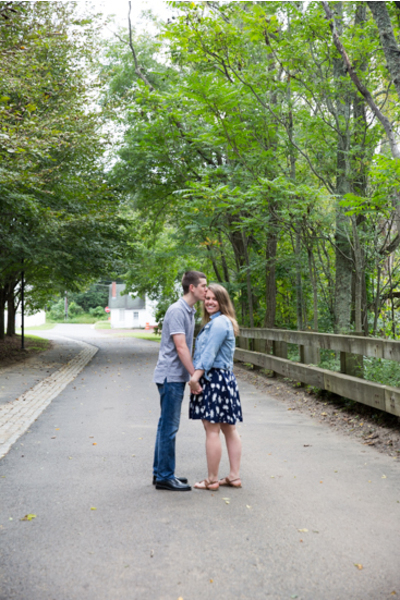 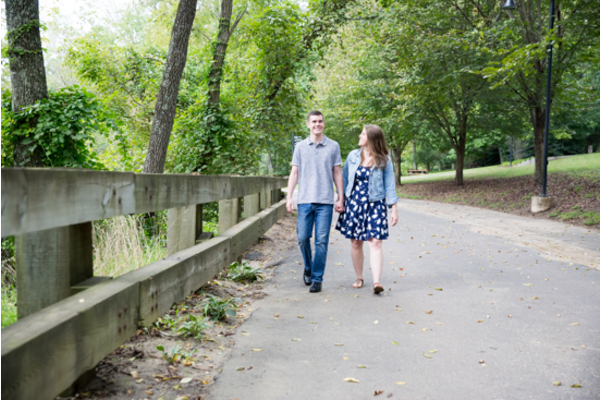 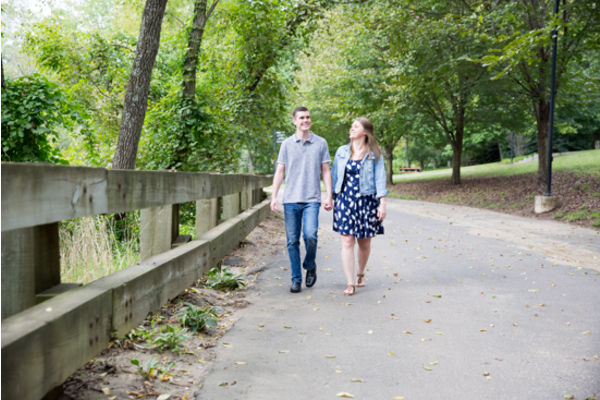 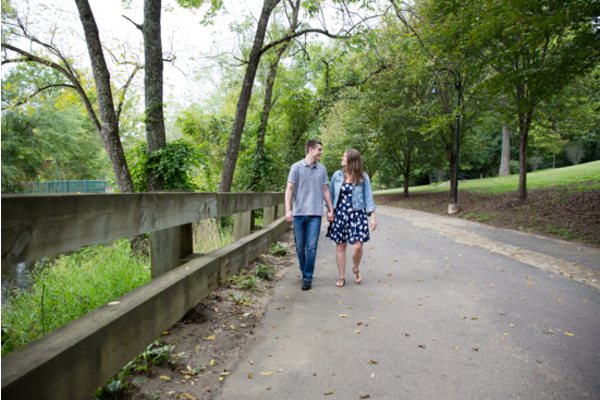 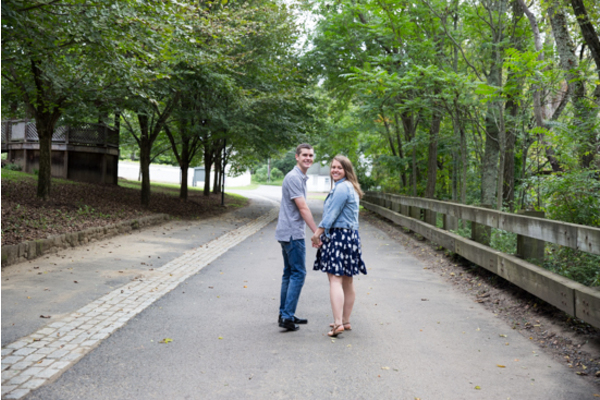 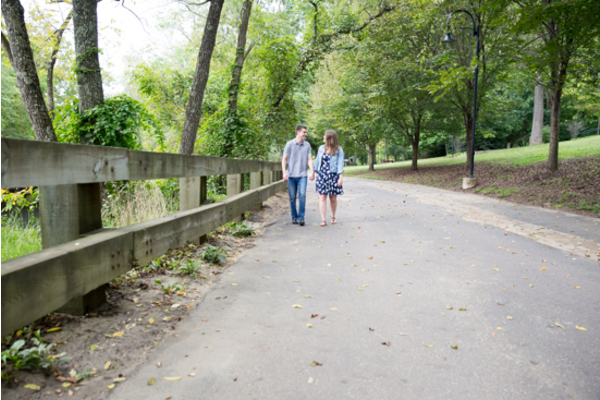 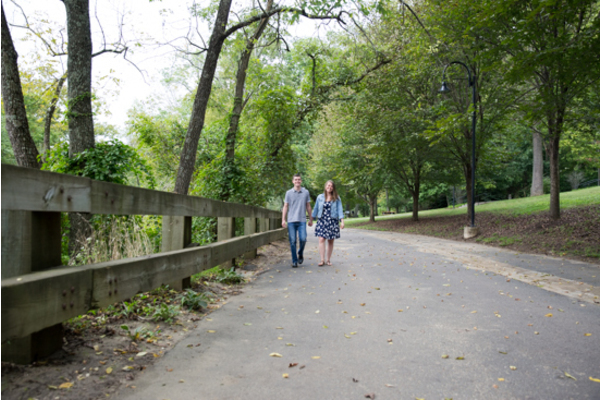 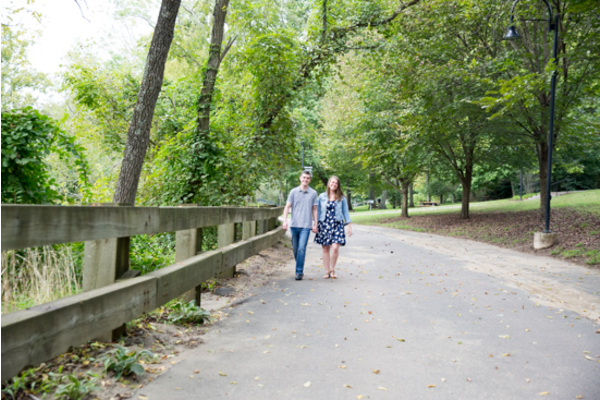 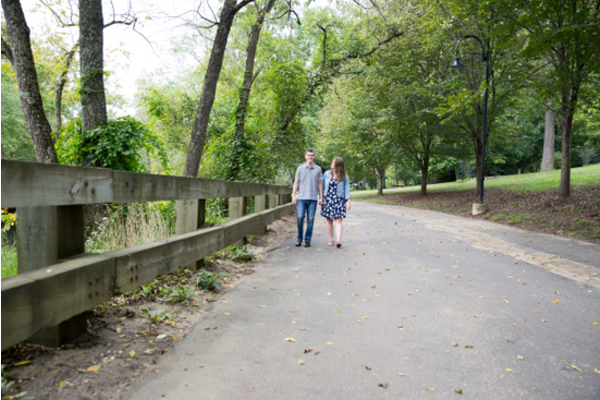 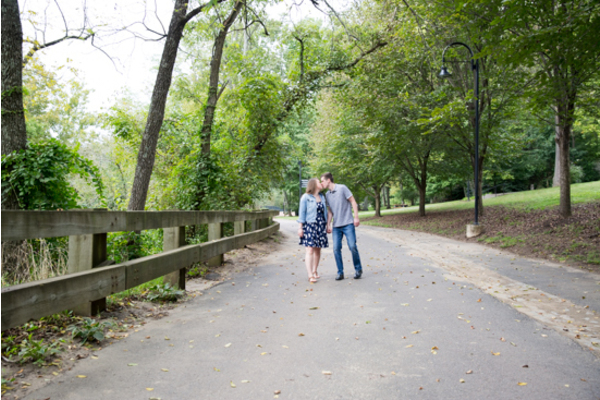 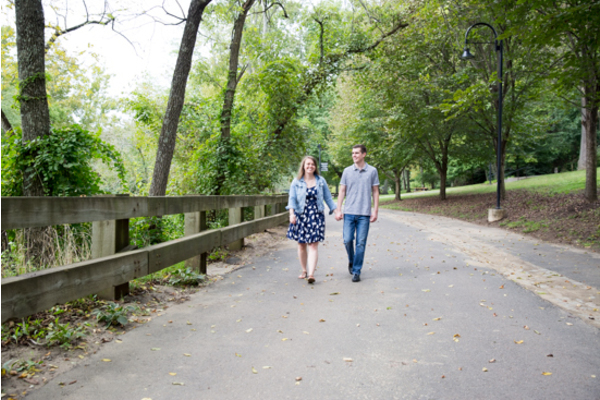 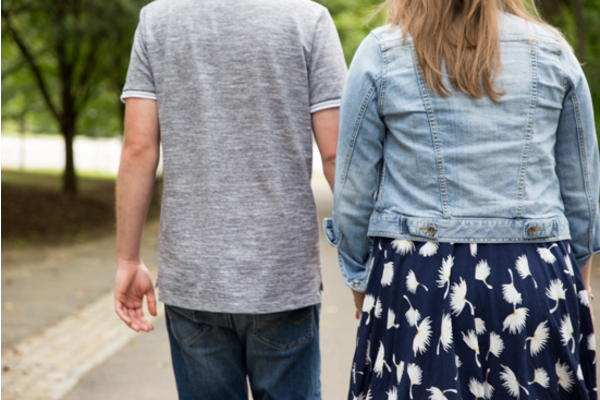 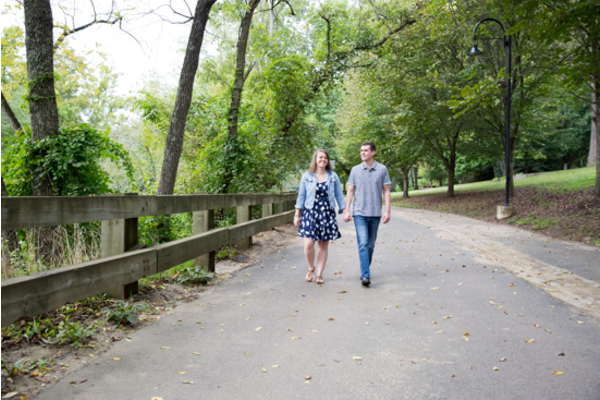 First, they started their shoot on a bike path surrounded by trees, wooden bridges, and a lake. 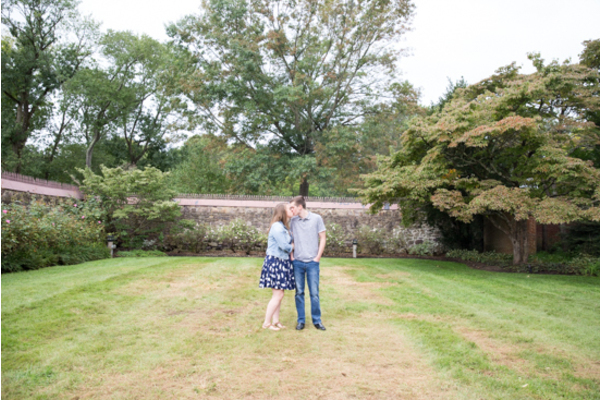 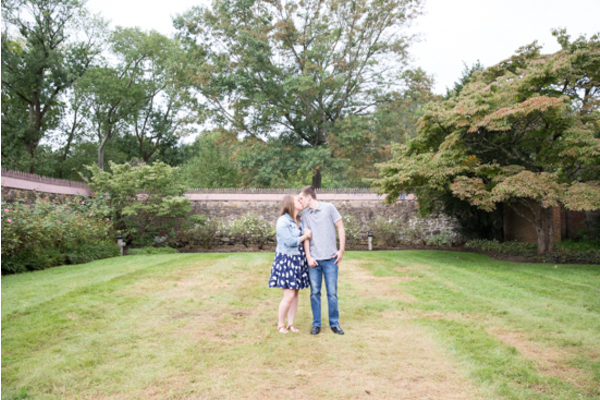 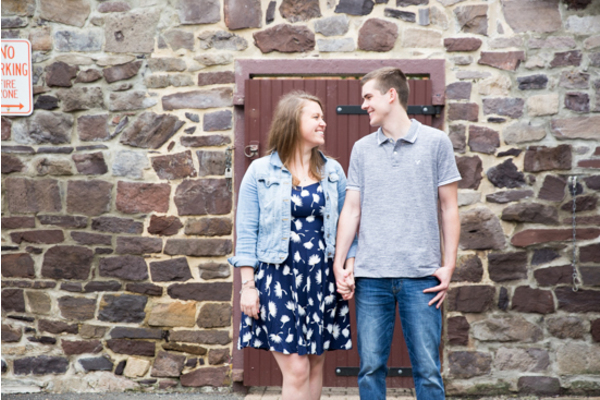 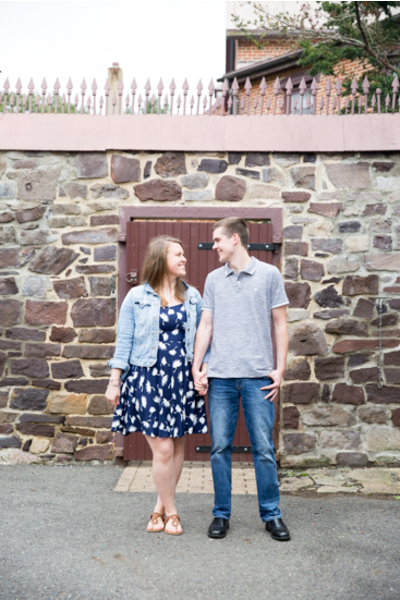 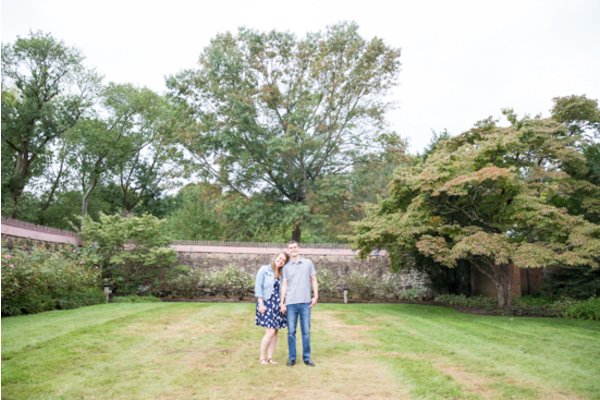 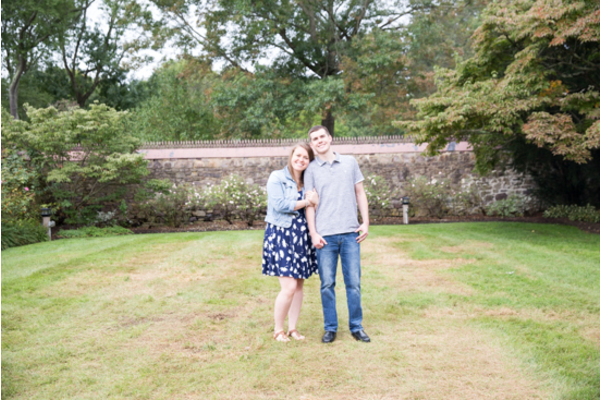 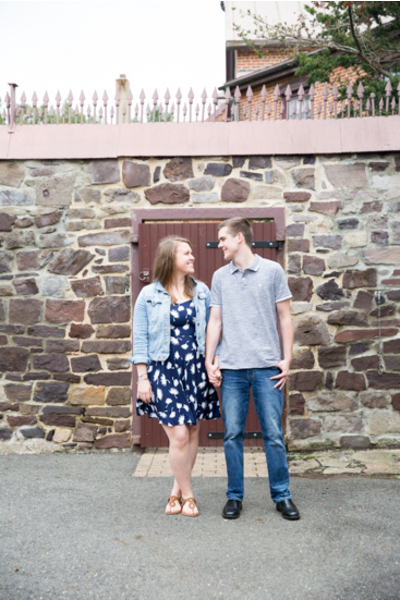 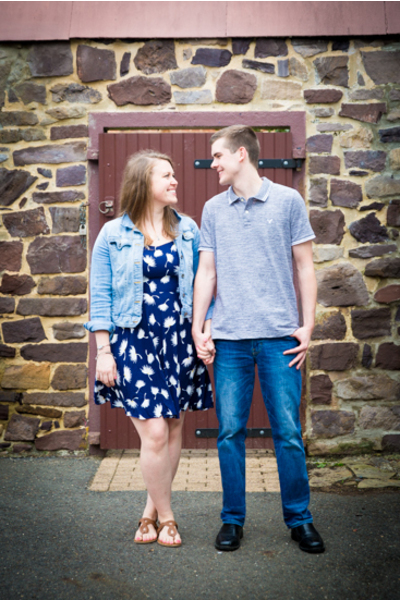 Then, they came across a stone wall that made for some amazing rustic photo opportunities! 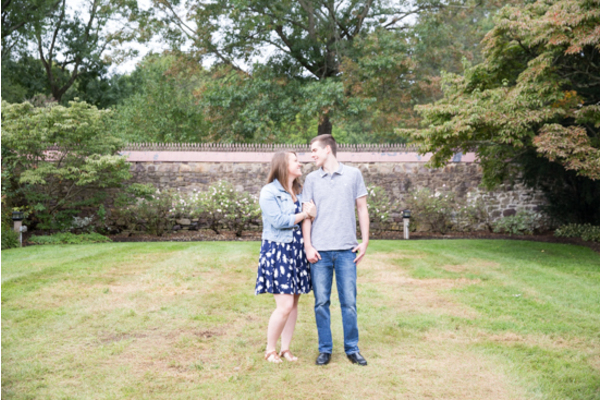 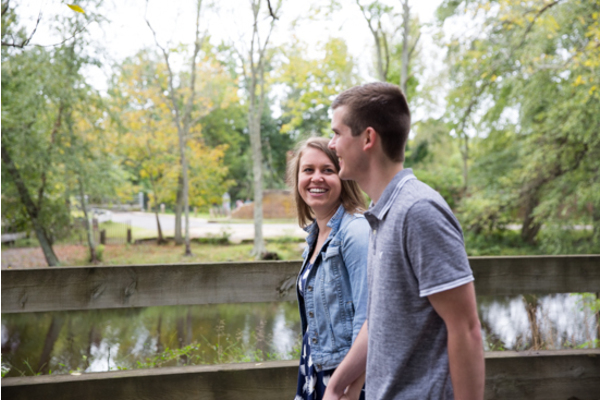 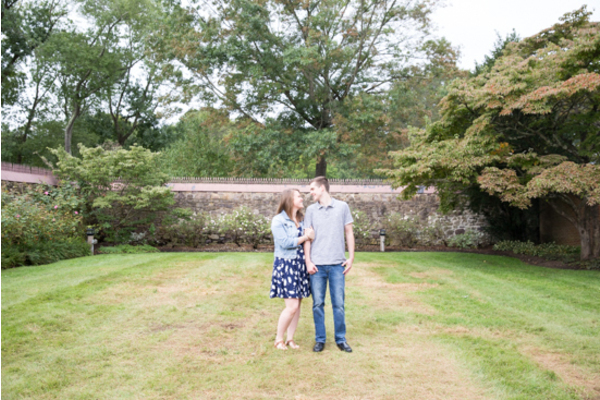 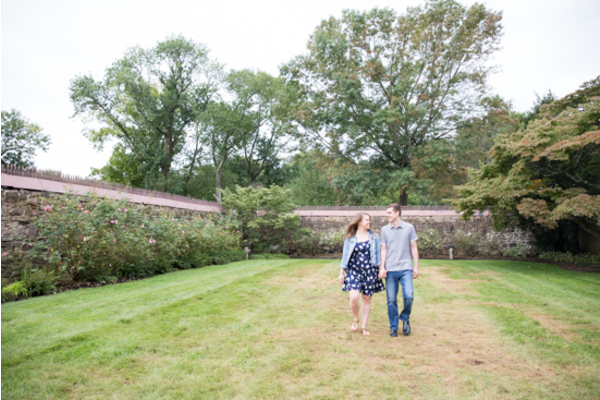 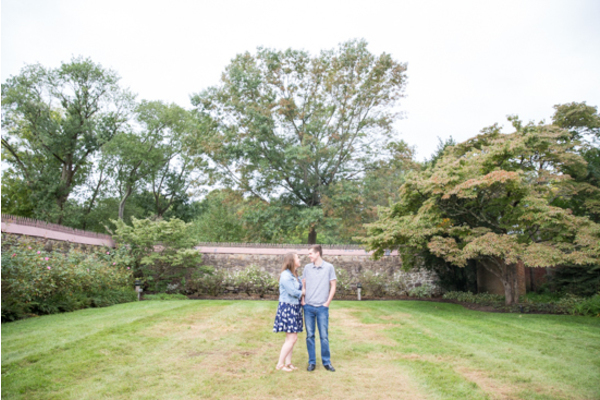 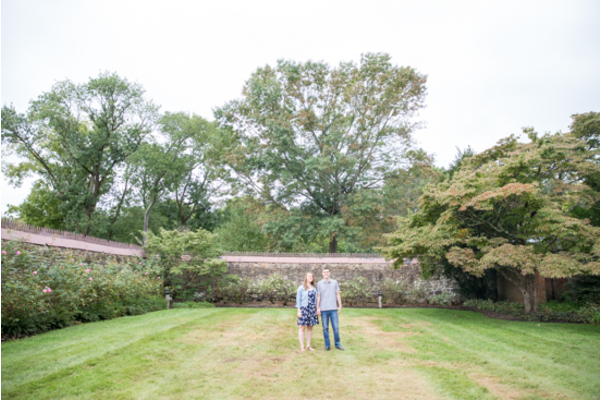 The walls of nature surrounded Amanda and Travis as they locked eyes with huge smiles! 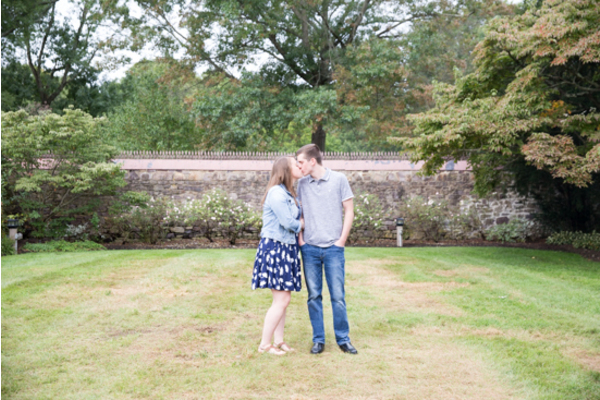 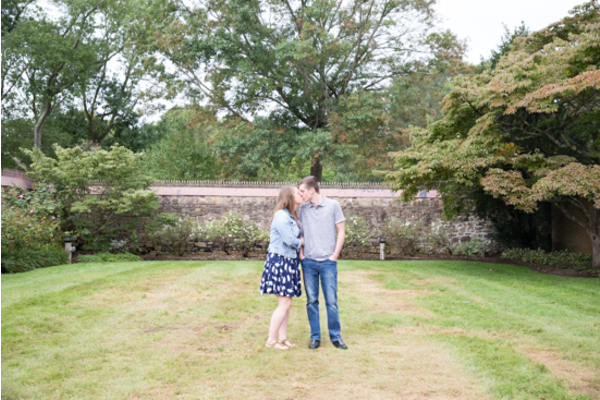 In this woodsy area, our NJ Wedding Photographer was there when Seth spun around his bride-to-be then pulled her in for kiss. 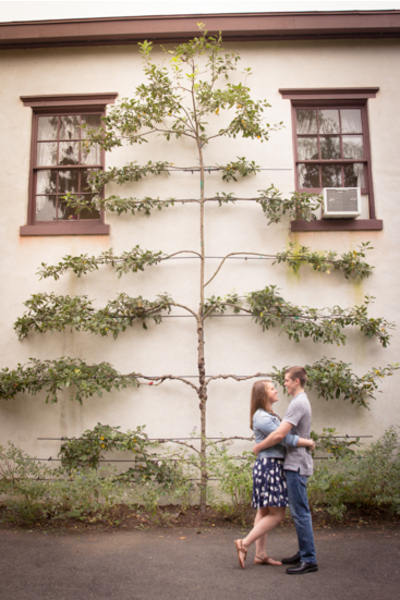 Overall, their true love was evidenced in every single photograph captured! 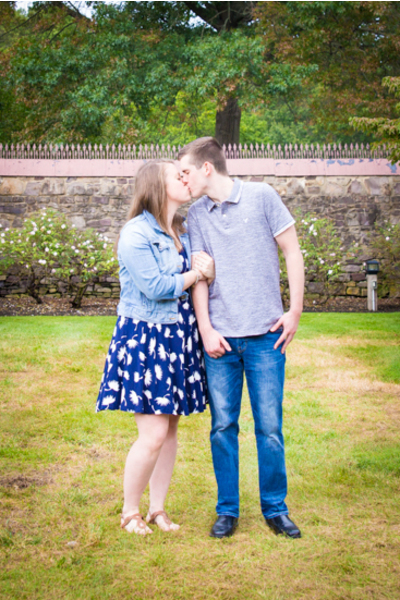 We hope you both love your photos as much as our editing team does here at Enchanted Celebrations! 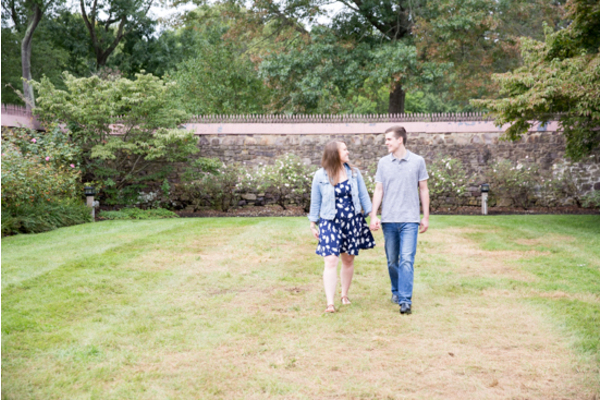 Before we know it, our NJ Wedding Photographer will be back in July when the couple say “I Do.” alongside our NJ Wedding Videographer. 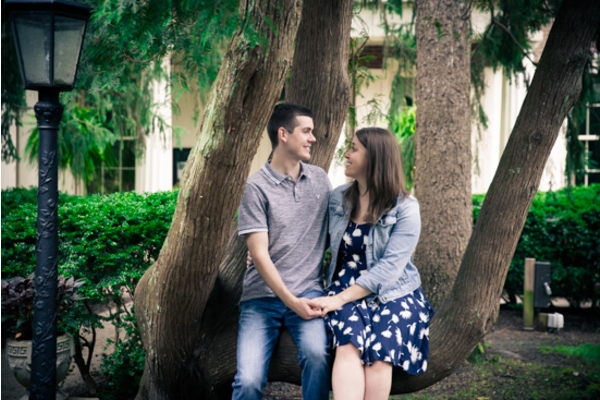 In conclusion, we wish you so much luck and bliss as you await your summer wedding at the Bradford Estate!